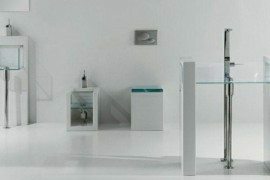 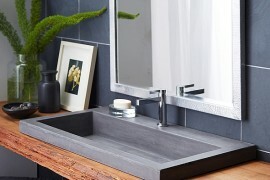 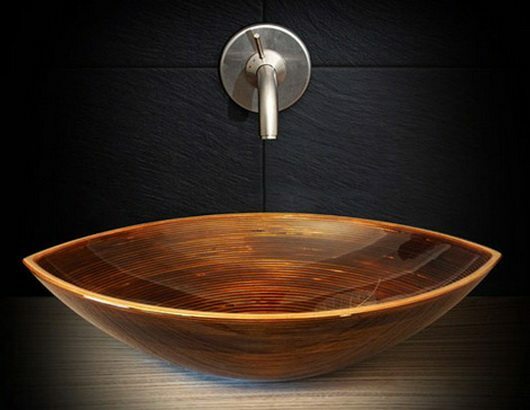 One step further past the luxurious and state of the art wooden bathtubs, most of which are varnished with the aid of yacht building technologies, the wooden sinks by Munich-born designer Markus Horner have become a refined piece of bathroom furniture. 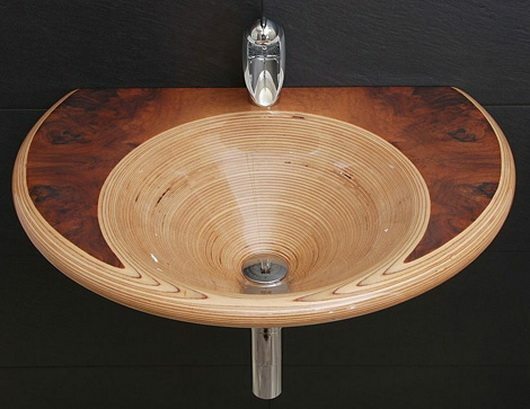 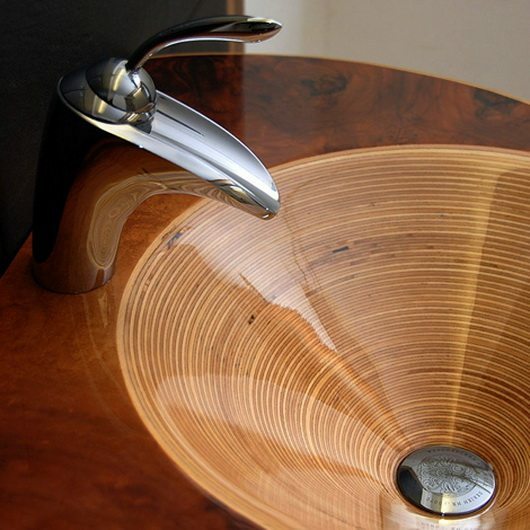 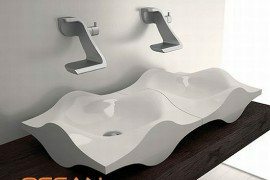 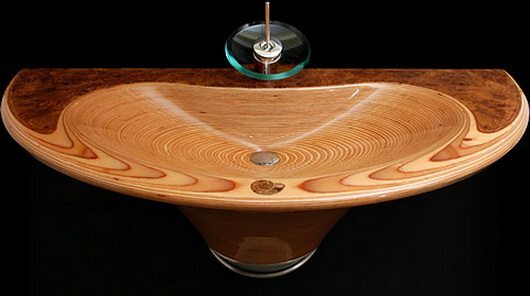 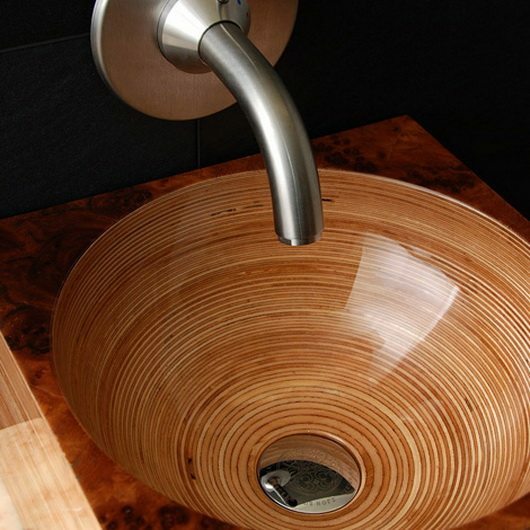 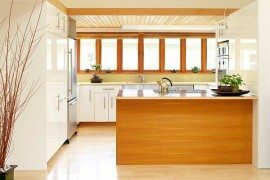 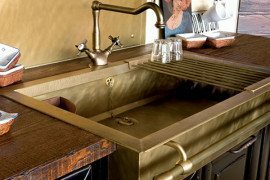 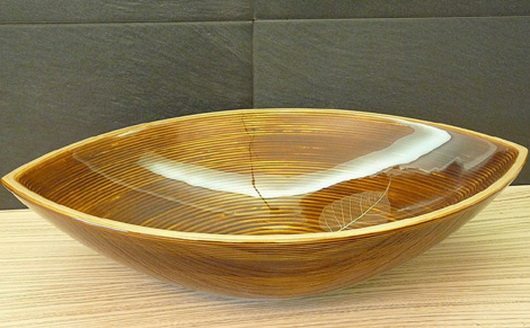 Made by the German company Ammonitum, these lavish sinks, with the hues of wood and the sleekness of marble, are made from wood used for luxury yachts, clad in a glossy veneer. 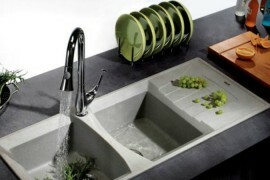 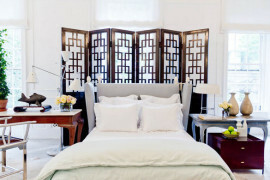 They can be embedded into the wall on one end, or, appropriately for minimalism, onto a ledge like retro wash bowls. 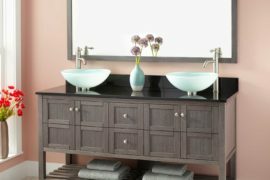 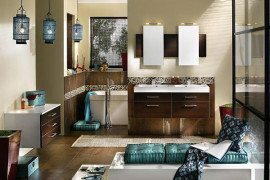 The organic sincerity, rich color and vintage finesse of wood make these pieces work into any (provided it’s elegant) bathroom space.